These days, every company in the sector has optimizing its logistics as one of its main objectives. The more optimized a company’s supply chain, the more productive it will be. As such, satisfying customer needs can come first, whether it be in terms of speedy order processing and delivery, or else item availability. Even though this seems like a no-brainer, it isn’t always crystal clear in every organization. In fact, depending on what you need (number of daily orders, storage, personnel and handling equipment), you will have to figure out which in-house logistics strategy you need to apply. This strategy is often used in companies that don’t deal with more than 50 order lines a day. Operators are multi-purpose workers and carry out various functions at once: receipts, picking, packing, etc. Picking is done in stages. This is used in organizations that must process between 50 and 1,000 order lines a day. In-house logistics operators specialize in a work station’s tasks. Picking can be done in waves. For companies that manage more than 1,000 order lines a day. This strategy merits a WMS, also known as a warehouse management system, and the robotization or automation of a warehouse to answer a company’s needs. This strategy comprises entrusting all or part of your supply chain to a service provider according to your organization’s needs. 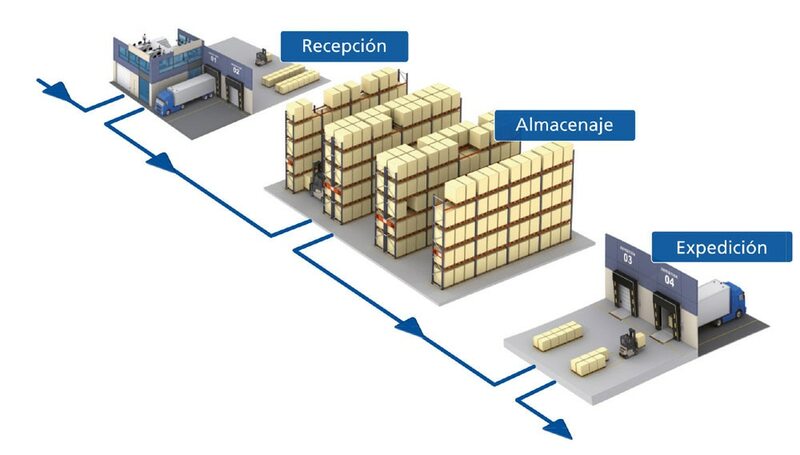 3PL: transport, storage, flow of goods and solutions based on transmitted information. 4PL: hands-on coordination and supervision of a supply chain. 5PL: logistics management and provision of engineering services. It is key that you appoint a boss or a team leader to optimize the whole supply chain to stop from having to face situations like stockouts, overstocking or even customer complaints. This means that the team or employee must study the techniques used in your warehouse and evaluate the solutions that could be deployed to fine tune your supply chain. That way you can adapt your logistics strategy to your company’s targets. Dividing up a warehouse: As highlighted in the article about Three steps to designing an optimized industrial facility, carving out the different zones in a warehouse’s space is crucial. Each inch of space must be allocated to a certain activity (loading, unloading, storage, cold-storage, picking zone, etc.). Storage of goods: So you don’t waste time in locating goods, it is fundamental to clearly define the criteria used to slot your goods, as well as the storage methodology that you are going to use. Signage: We cannot repeat often enough that signage plays a part not only in your warehouse’s safety, but also in it running smoothly and seeing breakthroughs in employee productivity. Cross-docking is the word of the year. With this technique, you receive an item, you can skip slotting and send it directly to its destination. Cross-docking means you reduce storage costs. That’s why, if you need to hone stock management, cross-docking could be just the solution you were looking for. Many supply chain processes have a tough time reaching their maximum threshold in terms of efficiency, and this is mostly due to a lack of coordination between said processes. Sometimes, companies have trouble keeping an open-ended view of their supply chain and they throw away productivity, especially when manual processes are involved. Automation isn’t a one-size-fits-all solution or one that is a perfect fit for every company. That’s why an exhaustive analysis is called for to establish warehousing needs on a case-by-case basis. Assess the throughput of each one of the processes to see if the process is sub-standard, and, thus, to determine your automation requirements. 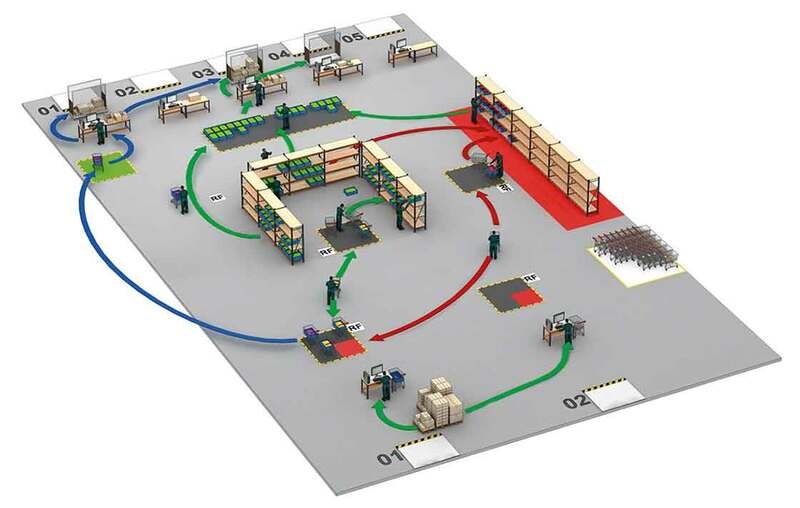 This will help you pinpoint the areas of your warehouse where automation could be advantageous, as well as to decide if you need a Warehouse management system that fulfils your needs. If the previous techniques didn’t get your undivided attention, lean management is an excellent way to optimize each one of the resources in your arsenal and improve the overall profitability of your company. In fact, introducing lean tools to increase your productivity is a great idea. But, if you decide to put them to use, it is important to remember that your employees will for sure get better working conditions out of the deal. Remember that you mustn’t forget to take care of your team, since this would put their health and, therefore, your company, at risk. By applying said techniques, you hope to optimize your logistics and not the opposite. As you can see, optimizing logistics takes many forms. The examples listed above are long-term solutions in terms of implementation, but time dedicated to this should be considered a means to an end in maxing out logistics optimization.